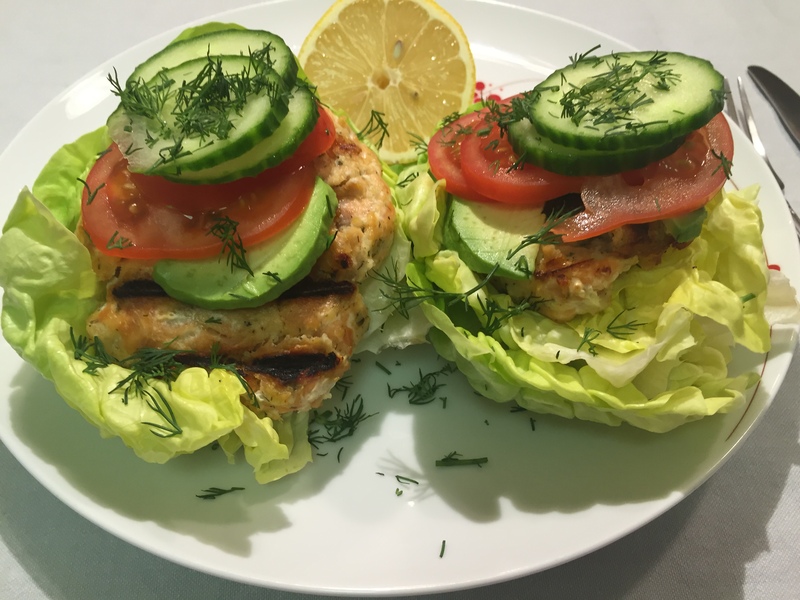 * You can buy a ready to go salmon burger at a fine supermarket or prepare yourself by simply cutting fresh salmon into pieces and seasoning with salt pepper, lemon and dill. Place the skillet on a stove, preheat the pan and raise the heat to medium-high. 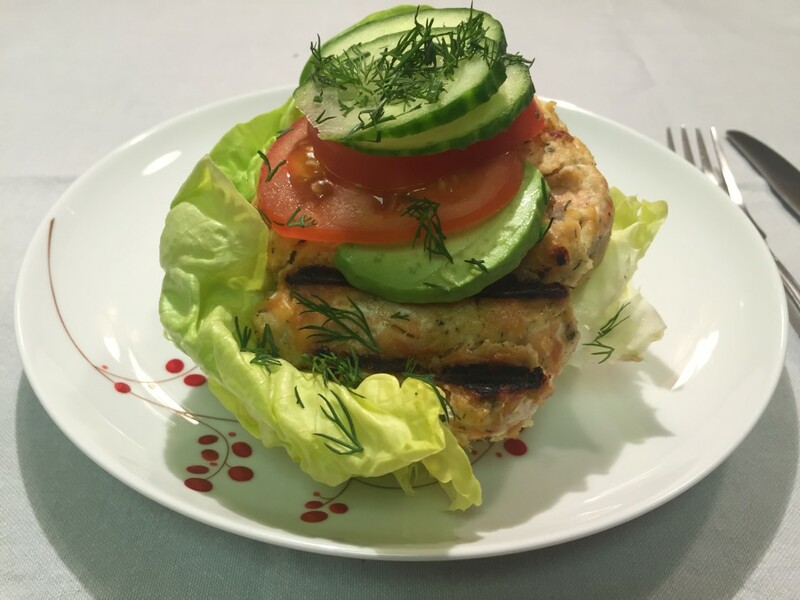 Place the salmon burger in the pan. Cook until golden brown on 1 side, about 5 minutes or you can easy turn the fish over with a spatula. Cook the other side for about 4 minutes more. When it is ready it’s easy to scoop out from the pan with the spatula. 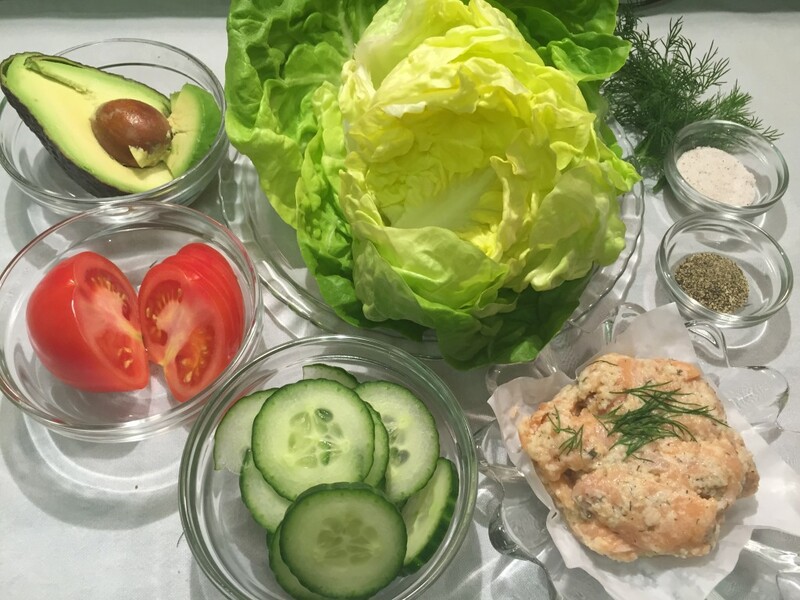 Then, slice tomato, avocado, cucumber, and chop the dill. Next, on a dinner size plate prepare the lettuce. Separate each leaf and place on plate. 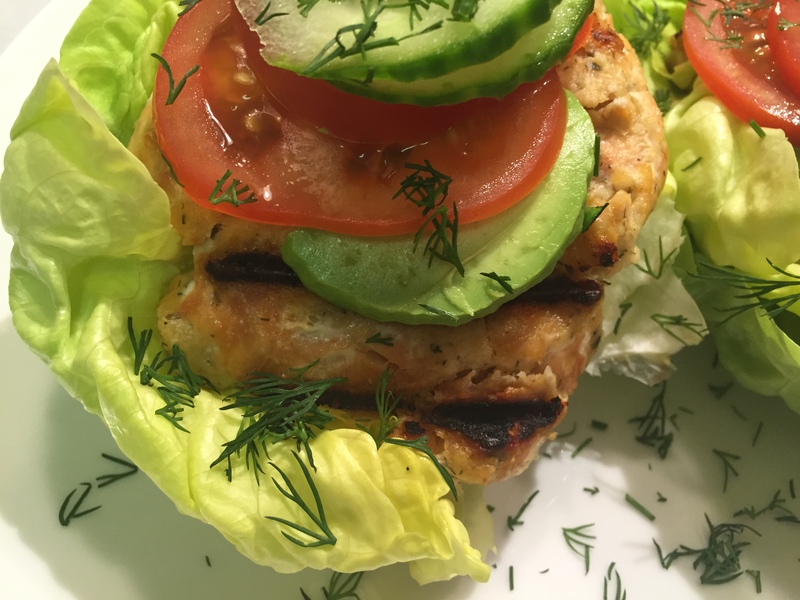 Place each leaf on top of another to make a bun. When the burgers are done, place them on the lettuce bed and top with avocado, tomato, cucumber, sprinkle with fresh dill, drizzle with fresh lemon, and season with salt and pepper. Bon Appetite!